Attorney Anna R. Evans is a dedicated and compassionate attorney serving clients in Modesto, California, Stockton, Merced, Martinez, Vallejo and the surrounding areas, including Stanislaus, Merced, San Joaquin, Contra Costa, and Solano Counties. 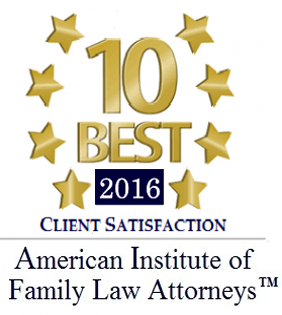 Working in law for more than ten years, she has dedicated her law practice to all areas of family and immigration. If you are embroiled in a contentious divorce, or looking for help legalizing your status in immigration, Anna R. Evans is ready to take your case. She is tough, smart, skilled and committed to getting positive results for her clients. To better serve you, Anna R. Evans has offices in Modesto and Martinez, California. Quality representation — Attorney Anna R. Evans works tirelessly to build the best possible case for each client. Her passion for the law is evident in her current work as a successful attorney and was clear from the time she worked as a clerk and paralegal at the prestigious firms to help fund her law studies. She brings outstanding legal skills and drive to each new case. Customer service — Anna R. Evans provides personal attention to each client, from start to finish. She is hands-on throughout your case. She is available and accessible as she prepares your case. Compassion for clients — Attorney Anna R. Evans has dedicated her practice to serving clients in the areas of family and immigration law. She builds a relationship with each client and is proud to help people during their most difficult moments to secure a better future. Call Law Offices of Anna R. Evans at 209-575-5906 or 925-228-2985 or contact us online. We are ready to go to work for you.